It has been quite the while since last post. School has been busy, so I offer no apologies. 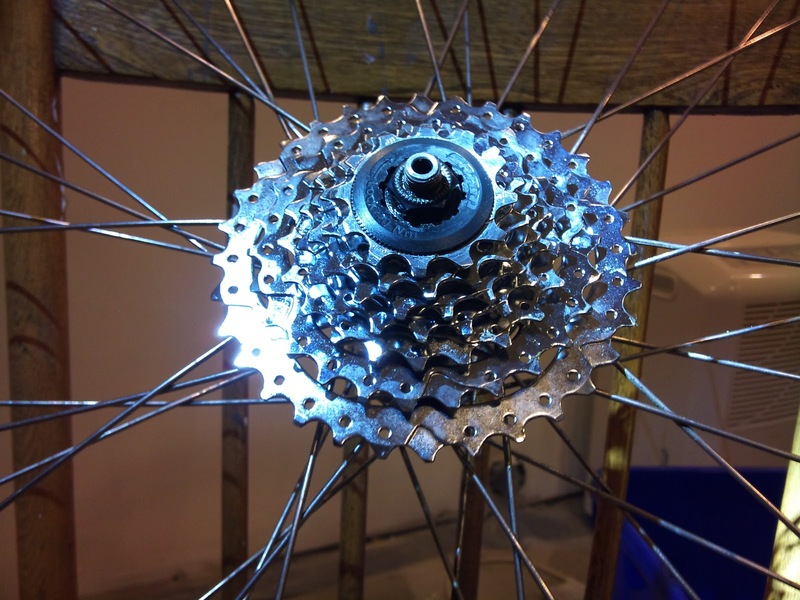 What I do offer is my take on the now “outdated” 7-speed drivetrain. That is, 7 in the rear, as I am an avid lover of double/ triple (especially triple!) cranksets for any mult-purpose machine – they help a lot for loads and/or hills. – Cheap, cheap cheap! These freewheels and (still available) freehubs for 7 speed are cheap, as are the casettes and chains to go with ’em. 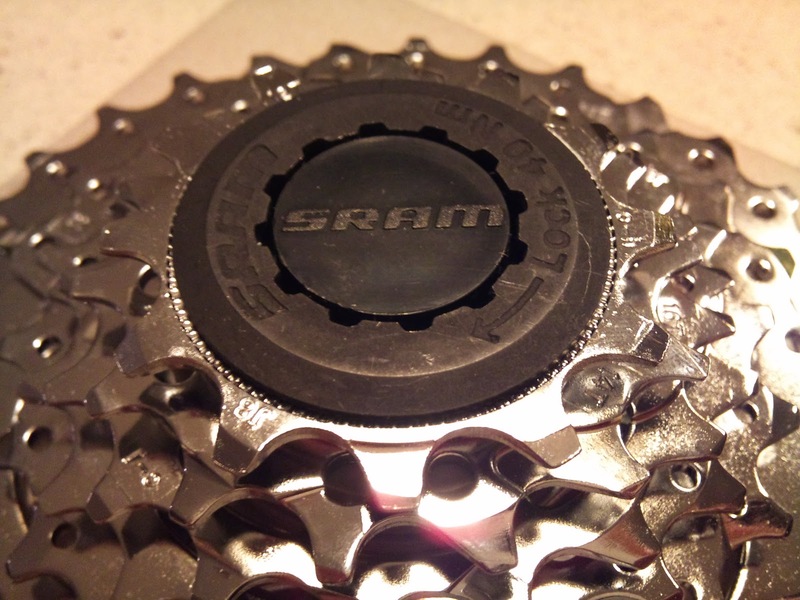 Don’t expect to shovel out much more than $7-8 for a mid-level chain, $15 for a quality freewheel, or $20 for a decent Shimano/SRAM casette cluster. -The availability! The price has come down for 7 speed due to Shimano’s technology trickle-down, so these are found from forms mid-high through entry-level (and still rather usable) drivetrain grouppos on all sorts of bike stor or dept. store bikes. So, there’s not worrying about spares on the road, and they’ll still be here for a while. Cheap shifters are a bonus here, as budget-conscious thumbies/grips/trigger shifters can be a blessing for a cheap hybrid/commuter set-up. Oh, and they still work with 8-speed STI brifters or bar-ends. -For durability, 7 speed is pretty darned good. They use the same chains as 8 speed, so 8/7 shouldn’t make any difference there at all in turns of chain/cog life. However, when comparing 9/10 speed systems, 7/8 lasts much longer; the wider and hence more robust chain/ cog tooth profiles mean longer component life, and hence, cheapness can go to a whole new level, not to mention…. -…. ease of use! With more speeds, one has to know their bicycle well enough to keep their derailleurs, shifters and chain in working order. This especially applies to index shifting in the rear. 7 speed requires more precision that 5 or 6 speed, a little be less than 8, but noticeably so for 9 or 10. – There may be a small difference going from 7 to 8, or 8 speed to 9, but a change from 5-7 speed, or even 6-7 makes quite a bit larger difference. Here’s why; fractionally, the increase from 7-8 or 8-9 is only 1/8 and 1/9 closer cog range, respectively. With five speed, it goes to 2/7 closer cog range (my math may be wrong here, but the idea behind it checks out!). The fractions don’t lie. That much. Also, 7 speed, as opposed to 5/6 speed systems, supports the “hyperglide” style gear profile, which improve shifting *a ton*. A metric tonne. – Racing/ Ergo shifters are hard to come by in 7 speed, although 8 speed shifters seem to work quite well, if you don’t mind having a ‘ghost’ position left over. The same goes for bar end shifters. – The % change between cogs can be quite noticible, when compared w/ 9 or ten speed systems. I find that I cannot quite hit my ideal cadence many times, which can be a bummer when riding for high efficiency/ speed. – You don’t have the elite status of havign 30+ speed on your machine. Now no one wants to be your friend. Other that these quips, I believe that the 7 speed drivetrain still deserves additional time to be considered relevant and functional ina time when more = better. But, I’ll allow you to disagree with me. For any of those who don’t know, the Sport Check in the Scarborough Town Centre is going out of business… and so they are having a closeout sale. No, this is not a promotion for the store – I simply saw a 7 speed wide-range cassette on sale at that store for 30% off, dropping the price to $15. 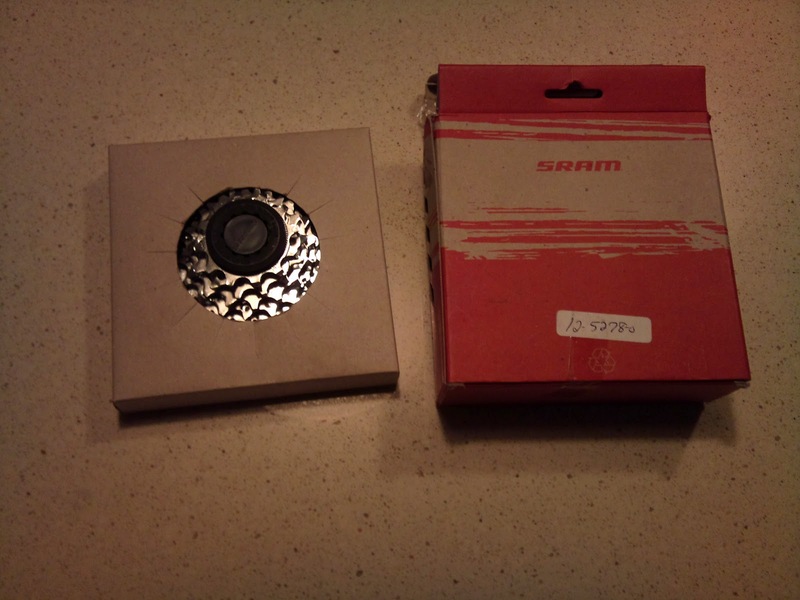 Knowing that my bicycle’s gearing is a bit high for fully loaded touring up big hills (I’m not super strong, either), I took the opportunity and bought the SRAM 12-32 gear cluster to customize my ride. I didn’t have what one would call a “high” low gear before this upgrade – with 700c wheels, an 11-28t cluster in back and a 22-32-42t front crankset allowed for a lowest gear of 21.5 in, and a high of 104 in. I almost never used that high a gear, bust still had some trouble up hills with that low gear (especially on tour/ with load). The new 12-32 casette drops a little high-end, in return for a greater low-end; a gear of 18.8 in to 95.6 in. Strangely enough, the % change from one gear to another among the first 5 cogs is actually closer than before, meaning more comfortable control over cadences on the road. The lost two cogs have jumps much greater, but the absolute change in the gear value is small, making it nearly unnoticeable. Two problems: Firstly, my now-16 year old Shimano Alivio rear derailleur has a bit of trouble reaching the 32t cog, and sometimes hits… I’ll fiddle with the b-tension adjuster, and see if this improves. After all, they were rated (I believe) to 34t max cog. Secondly, because I didn’t replace the chain, and the derailleur is nearly at max take-up capacity, cross-over gears have now become a real danger on the 42t chainring/ 32t cog. Other than that, all is well. grow in size quickly; keeps the majority of gears within useful % change. I hope to give it a greater test in the weeks to come, but everything is looking good so far!